Just days after reports surfaced that the Terminator: Genisys franchise is dead, it has been revealed that the series itself will definitely live on. In fact, we are on the verge of a very big Terminator announcement. It is much less clear what that announcement is exactly, or who is involved.But producer David Ellison has assured us that more Terminator is coming. Skydance CEO David Ellison recently spoke with Collider during SXSW and provided an update on the Terminator franchise. It turns out they have apparently worked things out. We will be getting another movie, or perhaps a TV series, taking place in the sci-fi world created by James Cameron back in 1984. Here is what David Ellison had to say about it. "I will say we have resolved the future of the franchise and believe me it's an incredibly bright future. I think where it's going will be the continuation of what the fans really wanted since T2. We have something this year that we will be announcing for the franchise. It's something we're incredibly excited about and we think is the direction it needs to head." It may be exciting for some fans to hear that a Terminator announcement is coming soon and that David Ellison feels this is what people have wanted to see ever since T2, which is one of the greatest movie sequels ever made. But things are definitely confusing. 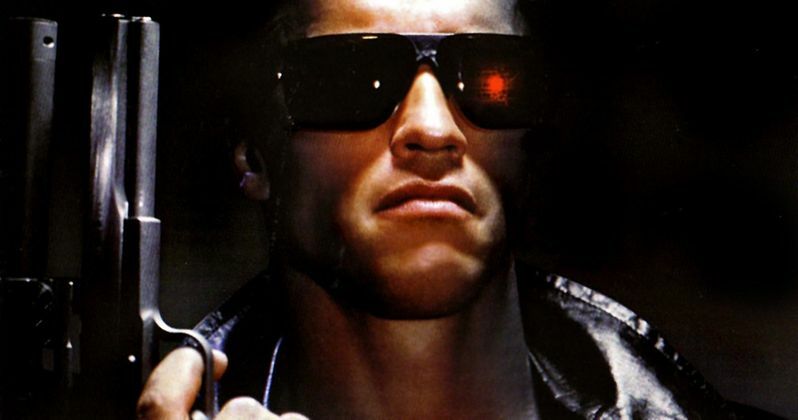 With the Terminator: Genisys trilogy reportedly dead at Paramount and Arnold Schwarzenegger set to retire, it seemed like we would be waiting for new a Terminator project until James Cameron gets the rights back in 2019. In fact, there were reports circulating not long ago stating that Cameron was working on a new installment in the franchise as a producer with Deadpool director Tim Miller being eyed to helm the project. So is this announcement related to the James CameronTerminator movie? Or is it something else entirely? The most recent reported stated that Paramount had completely dropped the Terminator: Genisys sequel from the production schedule and that the only way that the movie would move forward is if an "independent production company" came on board. So it is really hard to tell what this new project is, but David Ellison would definitely know what is going on, and at the very least he makes it clear more Terminator is happening. As for what shape that will take and who will be involved? We'll have to wait and see what happens with this new Terminator Reboot, but it sounds like we won't have to wait all that long.